Following numerous reports of animal abuse and illegal hunting throughout Kosovo, wildlife photographers and managers of designated hunting areas are pushing for change. Hearing hunting rifle shots ring through the Kosovo mountains is becoming increasingly more frequent. Different animals and birds, stuffed and on display in restaurants, homes and men’s quarters all over Kosovo, are a painful reminder of these shots. Wild goat, Balkan lynx, deer of the Accursed and Sharri Mountains, boar, grey partridge, rock partridge and bears are only some of the wild animals targeted by hunters in every corner of Kosovo’s mountains. In the past for necessity, yet today for recreation, hunting is practiced in various mountain ranges across the country, but illegal hunting is threatening rare species with being wiped out completely. Numerous accounts of wild animals being hunted for sport have been reported in the last year, and those working closely with animals and hunters in Kosovo’s national parks, mountain ranges and designated hunting areas are pushing to bring practice in line with policy and punishing those who put the country’s wildlife in danger. 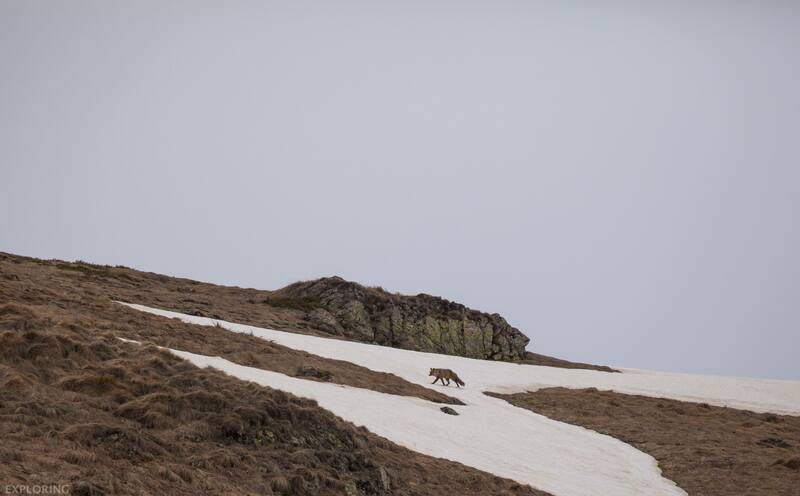 Photographer Blerim Bytyci, who passionately photographs wildlife in the Sharr Mountains, said that illegal hunting in these mountains is risking their extinction. “Illegal hunting in Kosovo is threatening the extinction of wild animals, as well as some rare species of birds, in the Sharr Mountains,” he said. A fox in the Sharr mountains. | Photo: Blerim Bytyci. Even Granit Berisha, Manager of the Kamenica hunting area, said that illegal hunting is threatening all animals, not just those protected by law, and added that the hunting area he manages is in good shape regardless. “Of course, such actions are not only threatening the animals protected by law, because of their small number, also animals which are not considered endangered,” said Berisha. Berisha stated that his hunting area is making efforts with law enforcement bodies to stop this damage to the fauna. “We are constantly making efforts in our hunting area, in cooperation with the Kosovo Police and the Hunting Inspectorate, to combat such phenomena, to preserve wildlife, and the situation of the wildlife is relatively good,” he added. Skender Sadikaj, manager of the hunting area in Suhareka, also spoke of the good state of the fauna in Kosovo. He claimed that the number of wildlife in the Suhareka Mountains is on the rise. “We’ve set up camera traps, and we have seen that the number of wildlife is growing, they caught bears, deer, rabbits, partridges, wolves, foxes, pheasants and boar,” said Sadikaj. Milaim Vitia, from the hunting association Gollaku, in the municipality of Prishtina, talked about the risk posed to the wildlife by the poor management of Prishtina’s hunting areas. As a result of the growing threat of extinction of animals in the municipality, this area was not even opened for a hunting season in 2018. “In June this year, I released pheasants into nature for the first time since the end of the war. I am currently cultivating some deer and wild rabbits, and when there are 20 or 30, I will release them in the mountains. Hunting must be protected rather than destroyed, animals have to be bred in order to have an abundance of them,” he said. “In particular, deer are close to extinction, and I am trying to ensure that we don’t lose this species,” said Vitia. A similar situation is also found in the national park of the Sharr Mountains. Sadri Hodaj, from the Sharr hunting association, spoke of the species that are at risk of extinction in this park. “Illegal and uncontrolled hunting threatens all species, particularly the rare ones, and wild animals at most risk in our region are bear and deer, as a result of illegal and uncontrolled hunting,” said Hodaj. According to him, this situation can be fixed only by respecting the law. “We need legal regulation and engagement of institutions in order to bring hunting in control with strict rules, as in any other European country, as hunting is a sport, an ancient culture, which must be loved and cultivated. It is not a business,” he added. Bytyci said that in addition to caring for the hunting areas, there is a need for measures across borders to prevent illegal entries and hunting. Photographer Arian Mavriqi said that the phenomenon of illegal hunting has been present since the postwar period, and continues to this date due the failure of issuing legal sanctions for the killing of animals. Despite the poor state of the fauna in the mountains of Kosovo, explained by those who “live” with these wild animals every day, the Ministry of Agriculture, Forestry and Rural Development, MAFRD, thinks differently. Bajram Batusha, from the Division for Wildlife Management Policy, Hunting and Eco-Tourism in MAFRD, said that Kosovo’s wildlife is not threatened with the disappearance of rare species. “Although illegal hunting is endangering the number and types of wildlife, there is no danger of extinction,” Batusha firmly asserted. According to him, preventive measures for illegal hunting include compliance with the Hunting Law, administrative instructions issued through this law, as well as other relevant regulations that deal with this field. In 2010, a law was put in place to stop the illegal keeping of bears, which are also a highly desirable species for hunters to target. Near the Badovc Lake just outside Prishtina, there are 19 bears, which were collected from various parts of Kosovo and Albania, saved from illegal caging, isolation and mistreatment. 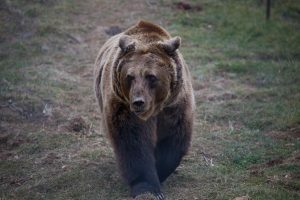 The spokesman of the The Bear Sanctuary in Prishtina, Taulant Hoxha, said that these bears have been found in restaurants, serving the owners as ‘attractions’ for clients. 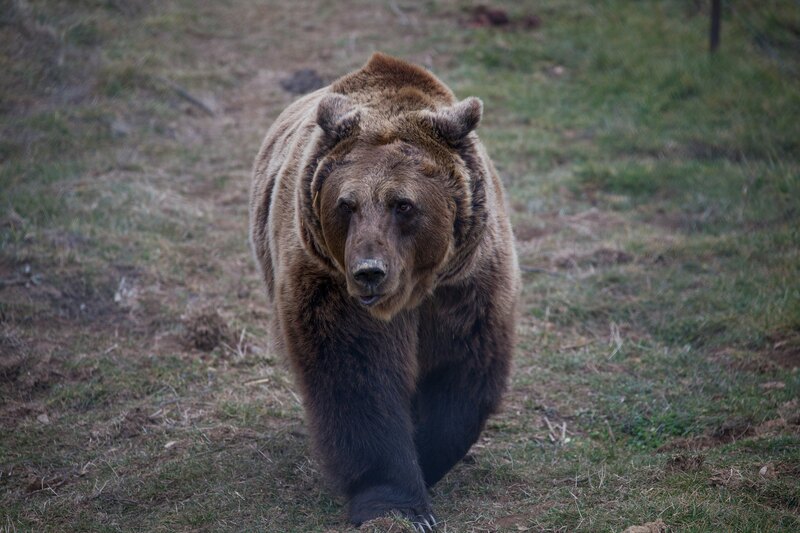 “The main purpose of the The Bear Sanctuary Prishtina, from the initial idea, was the rescue of bears from various conditions and restaurants, placing them in a more natural environment with professional care, from regular health checks to healthy nutrition,” said Hoxha. Outside the shelter, hunting remains a permanent threat to bears. Elza Ramadani, head of the Animal Rights Foundation, stated that hunting should only take place in areas defined by law and the amount hunted should be controlled. “Not only does illegal hunting significantly damage the well-being of animals that are unjustly killed for vain purposes, it also damages the ecosystem and can only be regulated if this wild life has its own place and number,” said Ramadani. According to her, this can only be regulated with the punishment of illegal hunters. “They must be punished, those that distort this ecosystem, and this can be done quite easily, as social networks are filled with people who boast about killing a bear, deer or boar,” she added. BIRN also contacted the law enforcement bodies, but they declined to answer, stating that this is an issue for the hunting association, despite the fact that illegal hunting is a criminal offense. While there is no aggressive campaign to punish those who illegally hunt and harm the existence of fauna in Kosovo, goat horns, deer skulls, and stuffed eagles remain some of the ugly images following us to various places we visit all over Kosovo. ‘War heroes’ or ‘war criminals’?